Amazon.com strives to be Earth's most customer-centric company where people can find and discover virtually anything they want to buy online. 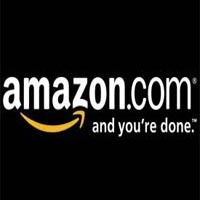 By giving customers more of what they want - low prices, vast selection, and convenience - Amazon.com continues to grow and evolve as a world-class e-commerce platform. The Seller Support team acts as the primary interface between Amazon and our 3rd party sellers. We obsess over providing world class support to 3rd party Sellers on the Amazon platform. We strive to predict the Seller's needs before they recognize they may need our support, create innovative self-help tools, and provide solutions to help our partners better serve their customers. The role of the Seller Support Associate provides candidates with an opportunity to join a diverse, multicultural team with direct partnerships across 11 worldwide locations. Amazon and Seller Support pride ourselves on growing talent and leadership from within, the Seller Support Associate role is an exciting entry point into an organisation with endless career opportunities. Candidates should expect to spend their initial 12-18 months learning the Seller Support business, perfecting their technical skills and customer advocacy as well as learning new skills such as mentorship, coaching, negotiation, process improvement and account management as they identify the next step in their career path with Amazon. Historically Seller Support Associates have progressed their careers with Amazon in areas such as editorial, data analysis, workflow & capacity planning and training as well as leadership roles i.e. team leads, supervisors and managers.